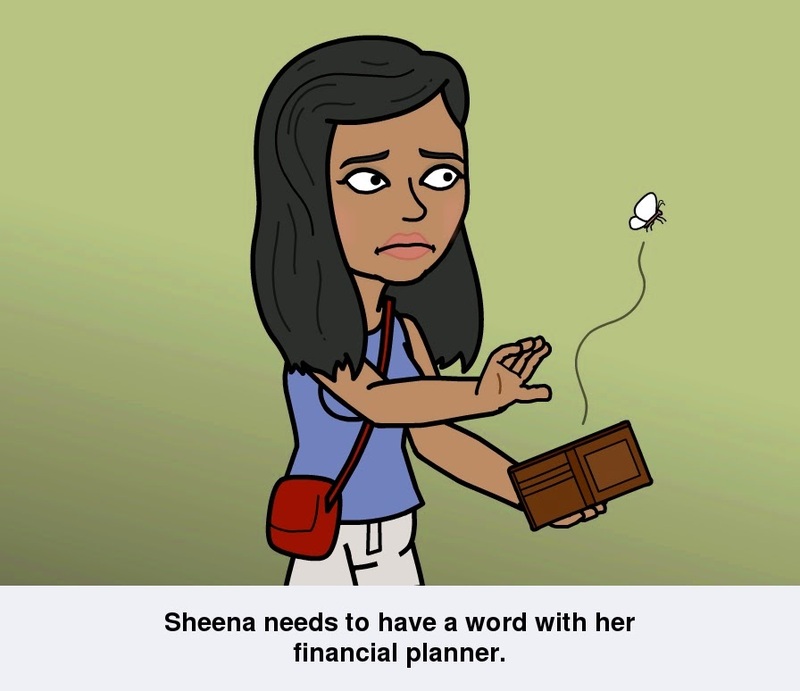 Flat Finances: Determining Affordability | Sheena V.
I hope my bitstrip comics have been somewhat entertaining. Didn't want the posts to turn out too dry. Haha. Without further ado, let me share with you the calculations made. Amount stated for the 'Lease Stamp Fee' and 'Conveyancing Fee' was what we were charged at the point our Agreement Order. It may vary in the future. You are to utilise your AHG and/or SHG for the downpayment and fees. You will only be required to pay by CPF and/or cash should the grant disbursed to you prove insufficient. ^CPF available stated is what we forecast both of us accumulate in 3 more years. We erred on the side of caution and came up with that figure. (E) assumes we will get 100% of what we require. This may not be the true. It could be less. For HDB Housing Loan, you may request for HDB to give you an updated assessment of your credit rating a few months before the flat possession date if your combined gross has increased (therefore qualifying you more a higher loan amount than before). The interest rate stated i.e. 2.6% is the current HDB concessionary interest rate. It may vary along the 25-year loan period. The HDB concessionary interest rate is compounded annually hence it's not as simple as ($714 x 1.026%) to get the "Monthly Loan Instalment". In actual fact, with all the compounding (assuming interest rate is held constant) I will end up paying $1.36 for every $1 borrowed. ($714 x 1.36 = $971) Scary huh. For the case above, I am assuming the interest rate remains constant at 2.6%, which may not be the case. What this means is that, if some time during the 25 year loan period the interest rates goes up, I will be paying more than $1.36 for every $1 borrowed. Calculating the "Monthly Loan Instalment" requires some mathematical mumbo jumbo that is too complicated for me to type out although I have tried my best to explain what goes into the details. You may want to seek help from finance adept friends for such calculations. We would preferably pay our monthly loan instalment entirely by our CPF. We know for a fact that approximately 20% of our monthly salary goes into our Ordinary Account. Hence in order to avoid utilising our cash flow for monthly instalments, our combined income should at least be $4,870. In other words, we should each earn at least $2,435 in order to fully rely on our CPF. $4,870 is a very realistic goal to us. Even if HDB's concessionary interest rate were to increase, we should be able to manage fine. As it is, Q is fulfilling his share of the bill comfortably, praise to God. And God willing, I shall find a job that pays me well enough when I graduate. You could use the same format used here and punch in the numbers relevant to you. Check out the more recent sale launches on HDB's website to get a better gauge on how much your future purchase price would be. With that I shall end this post. Hope you have a great day!